The New Beginning floor plan is where it all started for Rafter B Tiny Homes. It was our beginning. It represents the beginning of a BIG journey in the world of TINY. Wherever your life’s journey is taking you, we hope this home will be a part of your own new beginning. 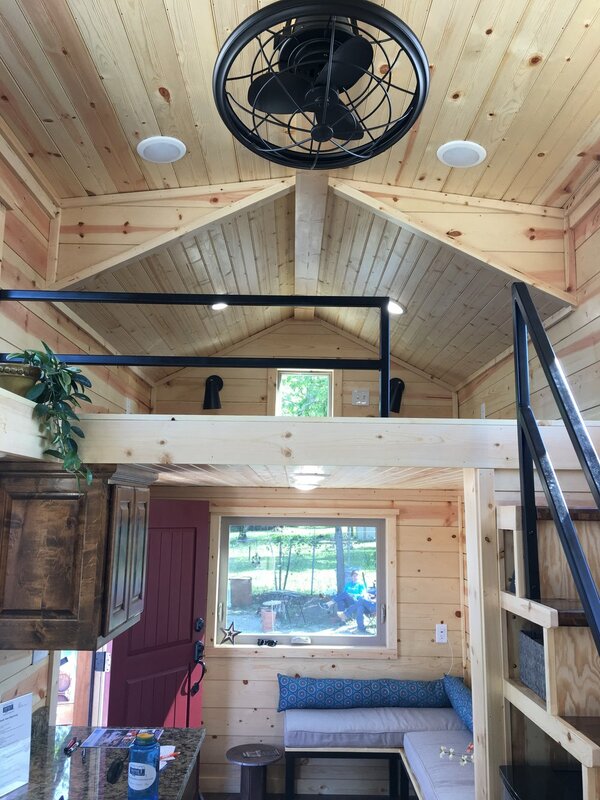 This Tiny Home provides 343 total square feet (192 sf on the main floor with an additional 151 sf in the 2 sleeping lofts) of comfy living. Step inside and you quickly realize that “tiny” doesn’t mean cramped, nor does it mean sacrificing that quality feeling of a well-built home. A gable roof with dormers gives this home a beautiful exterior appeal. With light colored walls, big windows, and lots of lighting throughout, the brightness in this Tiny Home makes it feel even larger. The light wall colors are perfectly offset with darker flooring and dark stained Alder custom cabinets, stair treads, doors, and bathroom accents. 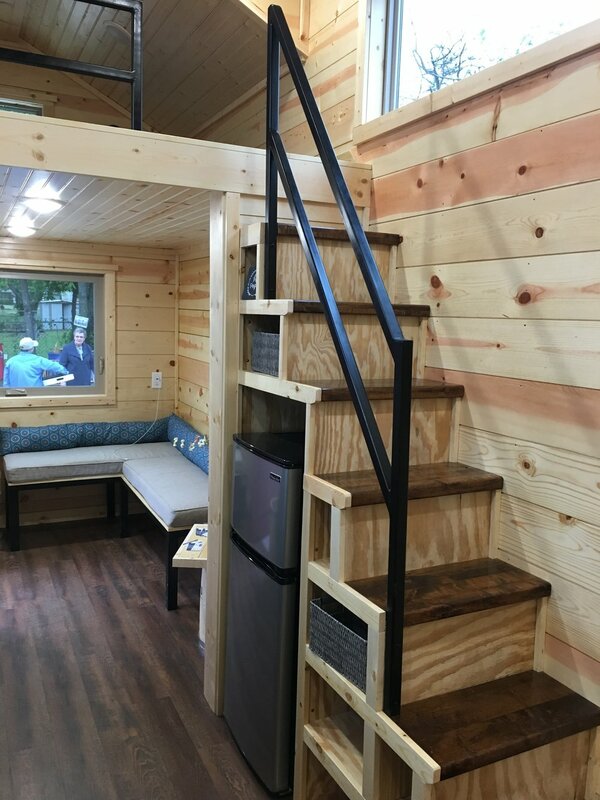 Granite counter tops and built-in seating make this highly-desirable Tiny Home feel like you’re living LARGE. Welcome to your new beginning. Welcome home.